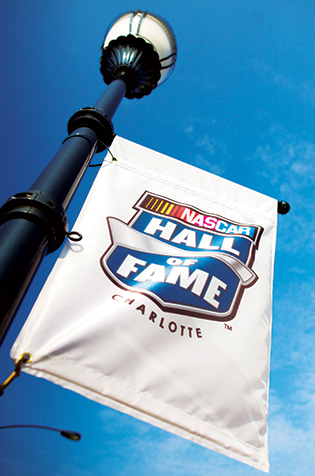 The NASCAR Hall of Fame is an interactive, entertainment attraction honoring the history and heritage of NASCAR. The high-tech venue, designed to educate and entertain race fans and non-fans alike, opened May 11, 2010 and includes artifacts, interactive exhibits, and a 278-person state-of-the-art theater. The goal of the facility is to honor NASCAR icons and create an enduring tribute to the drivers, crew members, team owners and others that have impacted the sport in the past, present and future.